The team at HSA Dermal Clinic will do whatever it takes to make your first visit a memorable one for all the right reasons. Relax in comfortable and tranquil surroundings, chat with our friendly team of clinicians and access the information you need with no obligation to go ahead. The way we see it, your first visit to HSA Dermal Clinic is also your most important. Book a free consultation with one of our experts to discuss your requirements and the most suitable treatments available. Scheduling an appointment in advance will allow you to undergo a complete consultation and introductory skin analysis with a specialist clinician, before deciding on your chosen course of action. Booking in advance will help us schedule time for your first visit. You will be seen by a specialist. Learn the benefit of each treatment. Consultation times usually 30-45 minutes. On your first visit to HSA Dermal Clinic, we’ll provide you with a free a consultation with one of our experts, giving you the opportunity to ask questions and determine the best treatment for your requirements. All treatments are administered in a highly professional and technologically advanced environment. Our team is led by Mrs Hala Allawi, an independent Pharmacist Prescriber with more than a decade’s experience in leading NHS hospitals and the private sector. Mrs Hala Allawi has in addition an MSc. Degree in Pharmacology and an MSc degree in Clinical Pharmacy as well as being an independent prescriber. The founding ethos of the clinic is to produce effective, safe and natural-looking results for every client. Continuous training, development and commitment to the latest technologies forms the core of our business at HSA Dermal Clinic. We offer a full range of non-surgical cosmetic services, using state-of-the-art technology with a firm focus on safety and effectiveness. The treatments we provide are tailored to individual needs and expectations. Our comprehensive consultations thoroughly assess the requirements of each client individually, in order to pinpoint the perfect treatment accordingly. Complete patient satisfaction is our number one priority – we always go the extra mile to exceed expectations. Our clinicians will provide you with comprehensive information regarding post-treatment care, along with a full disclosure of what to expect both during and after your chosen treatment. We provide follow-up consultations in order to guarantee total satisfaction and peace of mind. Check out what are our past and present customers saying about us on our website, Google+, Facebook or Twitter. 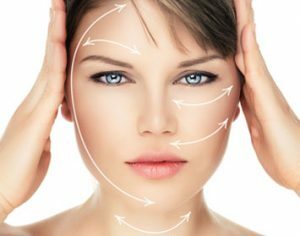 Every member of the HSA Dermal Clinic team is at your disposal, from arriving at our clinic to your departure. Enjoy a warm welcome, explore our cutting-edge facility and get to know the state-of-the-art technology we use to carry out our most advanced and effective treatments. We’ll do whatever it takes to make you feel at home from the moment you arrive! Our Clinic is in Richmond upon Thames and is easily accessible by public transport or by car. We provide every new customer with the opportunity to undergo a free consultation, with absolutely no obligation to go ahead with any of our treatments. Consult with our specialists, explore the available options and decide which course of action to take. As a fully independent specialist clinic, you can count on HSA to provide you with honest and impartial advice at all times. If you decide to go ahead following your initial consultation, booking your treatment really couldn’t be easier. The HSA Dermal Clinic team will take care of the entire process, providing you with all the information you need to prepare for your treatment accordingly. We work around the schedules and lifestyles of our clients – not the other way around. In order to keep our services as accessible and affordable as possible, HSA Dermal Clinic will provide you with a personalised quotation based on your requirements and budget. We offer an extensive range of dynamic treatments to suit all purposes and pockets, tailoring the services we provide in accordance with our clients’ needs. If looking to spread the costs of any of our premium treatments, we can also provide finance at 0% interest if required. Simply speak to a member of the HSA Dermal Clinic team to discuss 0% interest financing, which is available on a wide variety of our treatments and ongoing skincare programs. Whatever it takes to provide you with the fresh and radiant skin you need to approach every day with confidence, we’re here to make it happen! If you’re ready to let your skin feel fresh and radiant, contact the HSA Dermal Clinic team today to book your obligation-free consultation.